Kelley & Rege Properties Inc. Your Massachusetts home buying and selling authority! on building a strong foundation of business practices of dedication, trust, treating people with decency and not cutting corners. Our once two-person office grew to 25 agents who continue to carry these fundamentals along with their hard work and have produced over 500 million dollars in sales. We are ranked 234th out of 13,000 companies practicing in Massachusetts. Moreover, because of our client's referrals, their family and friends trust Kelley and Rege Properties to help buy or sell their home. We are not the biggest, just the best. Our corporate headquarters are in your backyard, not across the country. Decisions are made locally, allowing us to be aware of every facet of the company, and our clients. If you ever wish to speak with us, we are always available. 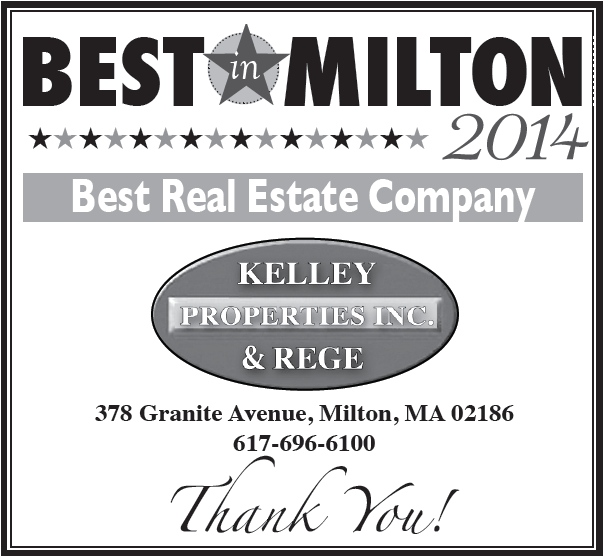 About Kelley & Rege Properties, Inc.
Paul Rege is a lifelong resident of Milton has been in the Real Estate business since 1986. Paul is a Graduate of Curry College with a Degree in Business. As an industry leader Kelley & & Rege Properties has been a Top Market Leading Independent Realtor in Milton and the surrounding towns for years. The company was founded by Paul Rege and the late Evelyn Kelley. Evelyn Kelley had an extensive background in Real Estate dating back to 1970. Along with an impeccable reputation in the industry, Evelyn was trusted and respected by many of her colleagues and clients. Paul is committed to providing exceptional customer service through every part of a transaction. In an increasingly sophisticated and demanding market, he is always seeking out cutting edge strategies through continued education and training, technology. Networking translates to power when it comes to marketing. Referrals from our professional affiliations are an excellent source of serious buyers.